The closure of children’s centres across Lancashire was due to be discussed today. Millions of pounds could be clawed back by the Government as a result of the shake-up of services, according to a report to Lancashire County Council’s education scrutiny committee, although leaders argue there is “no case” for that to happen. Fears have also been raised the closure of children’s centres attached to schools could leave schools out of pocket financially. The committee meets today to discuss the outcomes of Lancashire County Council’s “property strategy”, identifying more than 100 premises “no longer required to deliver the county council’s future pattern of service delivery”. There are currently 82 children’s centres across the county. In the future, there will be 52 designated centres. However, County Hall bosses insist that while the service is being delivered from fewer buildings and in a different way, the authority will still be reaching the people who need the service. A report to the committee sets out the implications of the closures of the centres. The report says: “The implications of the property strategy means that a number of current designated children’s centres will not be maintained within the Neighbourhood Centre model. “There is a potential risk of financial claw back in respect of government funding used to develop these premises when they were first established. “The maximum risk of clawback for these premises is estimated as £8.8m, being calculated on a sliding scale over a period of 25-50 years. “The basis of the clawback provisions is that where local authorities dispose of or change the use of buildings funded wholly or partly through capital grants then they must be re-paid. 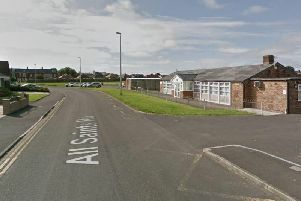 There are currently 43 children’s centres in Lancashire which are connected to schools. Of those, Lancashire County Council is retaining 19. Concerns were raised about the timescale for the proposed changes, which “gives headteachers and governing bodies limited time to find alternative uses for the premises”. County Coun David Borrow, deputy leader of Lancashire County Council, said: “Children’s centres are a base for delivering services, and where we’re no longer using a centre, we’ll continue to deliver services in that area through outreach, visiting people in their homes, and using other buildings in the community to meet and deliver sessions. “People will still be able to access a local centre, even if it’s further away than at present. “We’re conscious that there will be an impact where we’re no longer planning to use some children’s centres which are attached to schools, and are working on an individual basis with each school to look at the effect this will have, and where necessary help them to make this transition, as we work to establish neighbourhood centres by March 2020. Lytham Children’s Centre, Mythop Road. Oak Tree Children’s Centre in St Annes. The Zone in Fylde at Kirkham. Pear Tree Children’s Centre, Kirkham. Over Wyre Children’s Centres at Preesall and Hambleton. The Zone in Wyre at Fleetwood. Fleetwood Children’s Centre (Flakefleet satellite) in Northfleet Avenue.